Originally made to protect from immense heat in the Apollo mission over 50 years ago, the thin, lightweight plastic sheets known as ‘space blankets’ have made their way into the lives of camping enthusiasts. Their unusual properties like the thinness and shininess of the material may give you the impression that people use them so they can show off, but the truth of the matter is, this foil-like blanket has more to offer than you can imagine. The name describes it perfectly as it has numerous features which might make you think that it’s used in outer space. But enough chit-chat, let’s take a look at its features and common uses. The main feature that space blankets are known for is insulation. You can use them in your sleeping bag to keep out the cold at night, or you can cut out and put pieces of it in your boots and gloves to protect your extremities from the cold and keep them dry. 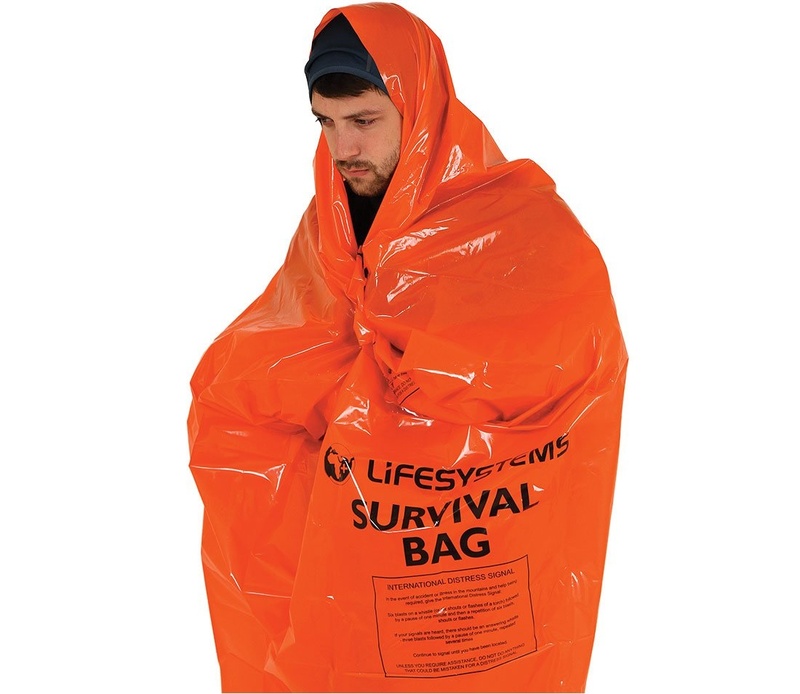 Since they are waterproof you can go full survival and use them to collect water when everything is covered in snow by putting a bit of snow on top of the blanket during the day so it melts into water. They can also be used to start a fire. In this case, what you should do is use the blanket like a magnifier and focus the sunlight in a small spot where you want the fire to be. Afterward, you can use the blanket as a windbreak – just make sure you have it attached firmly to some sticks in the ground. Although a space blanket can withstand high temperatures (up to 254 °C), it’s best to keep it within a safe distance from the fire and avoid putting it directly into open flames. An extremely useful feature of space blankets is their ability to reflect light thanks to their shiny cover. You can use a space blanket to attract attention to a rescuing helicopter when you are stuck in the wild or you can lay it flat on the ground to make it do all the work for you. Heat is another element that can be reflected by space blankets, and you can use it to make the heat from the fire or sun (if any) reflect from the blanket and travel back to you. Furthermore, you can also use space blankets to cover certain areas of your camp where there’s food to scare away birds that may feed on it because they are easily scared by the reflection of light. If you are a passionate fisherman, a space blanket can help you catch more fish. Just cover your fishing rod with it and you’ll end up attracting more fish as they are attracted to shiny colours.